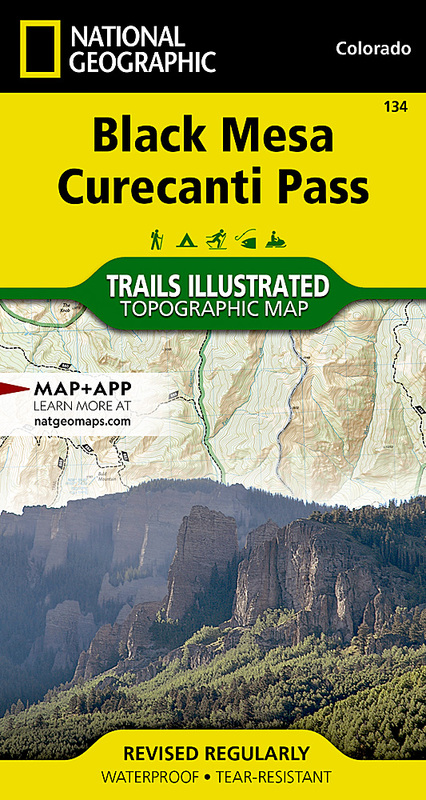 Outdoor enthusiasts seeking to explore the remote and untamed mountains of western Colorado will marvel at National Geographic's Trails Illustrated map of Black Mesa and Curecanti Pass. Created in cooperation with the U.S. Forest Service, this expertly researched map covers the recreational land in the area with unparalleled detailed. Among the main points of interest are Gunnison National Forest, West Elk Mountains and Wilderness, Sapinero, Centennial and Gunnison State Wildlife Areas, Curecanti National Recreation Area and Rainbow Lake. Other features found on this map include: Gunnison National Forest, West Elk Mountains, West Elk Peak, West Elk Wilderness.